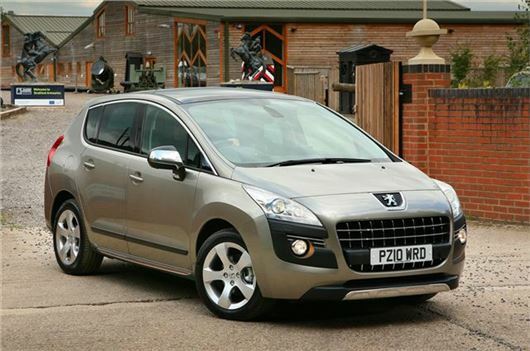 UK Car Discount has a large selection of competitive deals on the Peugeot 3008 Crossover. For more information on any off the offers below, or to place an order, call UK Car Discount on 0161 946 3500. Access models feature: air con, refrigerated glove box, electric front windows, Radio/CD player with steering wheel mounted controls electrically adjustable and heated door mirrors, LED daytime running lights, anti-lock braking (ABS), electronic stability programme (ESP), six airbags (front driver & passenger, side airbags and curtain airbags) and space saver spare wheel. Active models add: 16 inch alloy wheels (except EGC version), leather steering wheel, DAB Radio, colour touchscreen, USB input and Bluetooth. Allure models add: rear parking aid, dark tinted rear windows, electric folding and heated door mirrors, stainless steel front and rear scuff plates, automatic headlights and windscreen wipers, front and rear electric windows and automatic dual zone air con. UK Car Discount has cars of all makes and models available with great savings. It only genuine UK dealer supplied vehicles with full manufacturer’s warranty, and can provide free on-line quotations.